The Miniature Railroad and Village®. 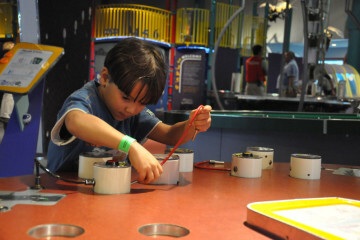 Image courtesy of the Carnegie Science Center. 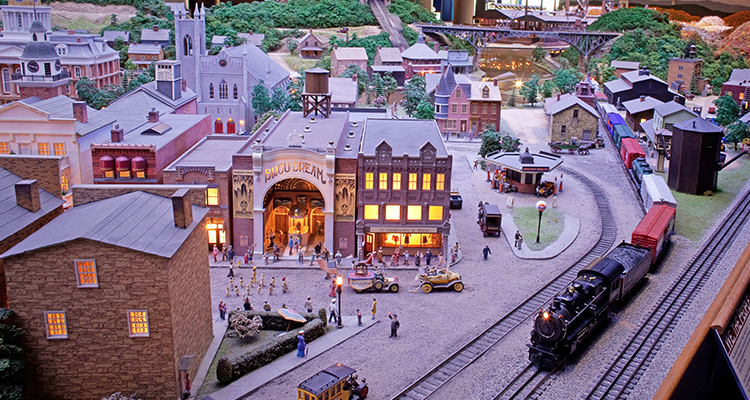 From sports fans to train enthusiasts and art lovers to history buffs, The Miniature Railroad and Village® at Carnegie Science Center offers something for everyone to enjoy. More than 100 models, including tiny animated pieces, make a visit to this wee world a great family tradition. The displays offer a glimpse into western Pennsylvania’s past, with a steel mill, barges, Frank Lloyd Wright’s Fallingwater, Forbes Field, and new this year: Primanti Bros. Restaurant. After taking in some of the Science Center’s more than 200 interactive exhibits, take in the season’s biggest movie in Pittsburgh’s most technologically advanced theater. “Star Wars: The Last Jedi” is playing in the new Rangos Giant Cinema. Experience this blockbuster in 3D with surround-sound technology and brilliant video clarity that makes you feel like you’re in the movie, not just at the movies. For something even more festive, check out the Holiday Magic Laser Show in Buhl Planetarium. Sit back and enjoy beautiful laser projected holiday-themed images, like snowmen, reindeer, and Christmas stars on the dome, accompanied by favorite holiday tunes. Buhl PlanetariumCarnegie Science Centerprimanti bros.